We Dolphin Instruments, began our operations in the year 1968, as one of the leading manufacturer and exporter of this quality approved range of Electronic Microscope and Laboratory Equipment. The Range made available by our organization across the market, is made up of the supreme quality Electronic Microscope, Laboratory Equipment and Glass Wares. Manufacturing of the offered array is done in adherence with the set international norms and guidelines, by employing the best grade materials and latest machines; this ensures the product’s superior performance and accurate finish. In addition to this, we are offering our products at industry market price in various specifications. We export all over the world. Our highly modern state-of-the-art infrastructural unit, equipped with all the useful equipment and machines, helps us in the achieving of several of our predefined goals. Our facility regularly upgraded, to facilitates the extension of our reach across the market effectively. For reasons of executing the operations of our company in the error-free manner, the facility has been separated into a number of highly operational departments. In addition to this, our ethical working practices have enabled us to develop a broad client base. Under the mentorship of our mentor, Mr. Dharmesh Shah, we have operated our business operations to achieve greater heights of success in this domain. His ability to manage, guide, make decisions and understanding of the latest market have enabled us to generate a smoother and reliable path to grow in this field. 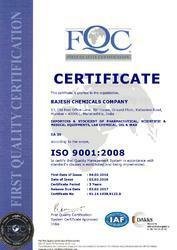 We are manufacturing a large collection of quality approved products for our valued customers. Our offered products are highly demanded by the patrons for their accurate reliable performance. We are one of the best resources for the offered array of products in the market. We are backed by state-of-art infrastructure facility, which helps us to design and manufacture the ordered products within the requested time frame. We are laced with all requisite facilities to manufacture the offered range of products in accordance with the globally accepted quality norms to ensure reliability, durability and accuracy in the product. In addition, we also are backed by a well designed and modern in- house designing unit, which help us to develop and design the offered products as per the precise requirements of our valued clients. We are assisted by a group of well qualified and experienced professionals which work dedicatedly to optimize the satisfaction level of our respected customers. To manufacture a quality-assure Laboratory Equipments, each professional’s works in close proximity and unity to process all the production operations inefficient manner. Our quality assurance group monitors the entire process of manufacturing to maintain consistent standard in our offered ranges of products.